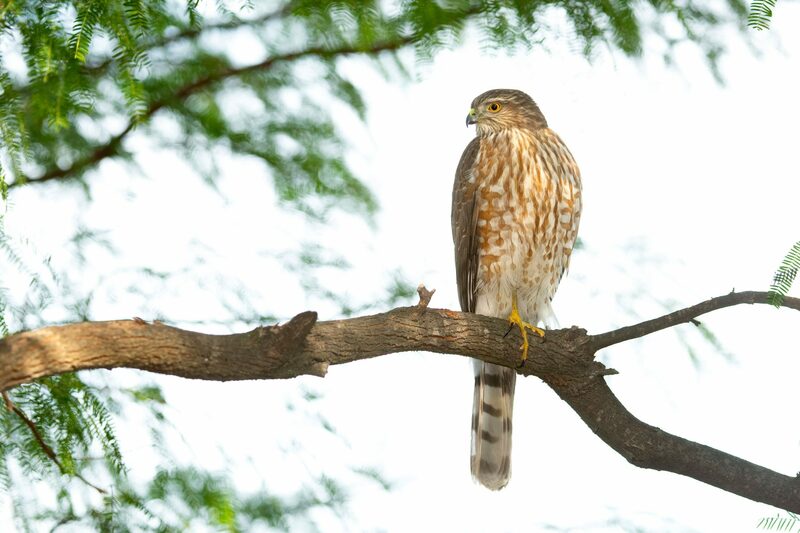 The smallest hawk species found in North America is the Sharp-shinned Hawk (males can weigh as little as 3 oz). During the winter months, we will see these raptors in the GNG from time to time. This juvenile (most likely a female due to her larger size) has been prowling around the garden lately and has proved to be a talented hunter. I have witnessed her catch a hummingbird, but Lesser Goldfinches are probably the preferred prey. As brutal as this may seem, it is important that we accept the Yin and Yang of Mother Nature.